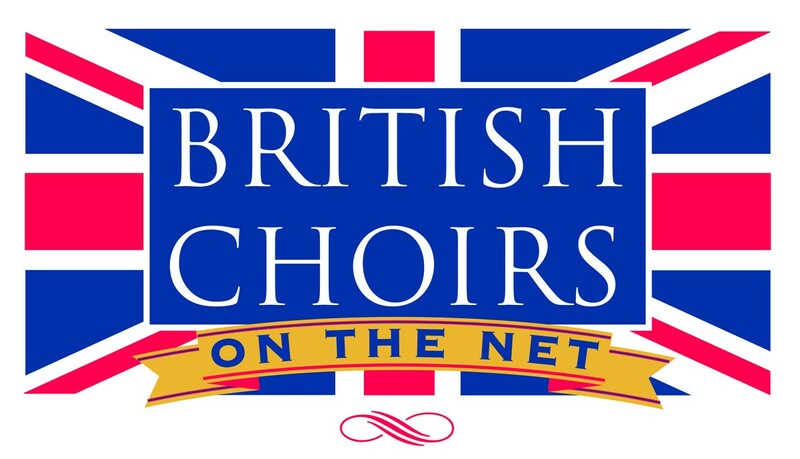 Where: Royal Festival Hall, Southbank Centre, Belvedere Road, SE1 8XX 7.30 p.m.
Where: St Paul´s Church, Victoria Road, Newcastle under Lyme, ST5 1HT 7.30 p.m.
Where: St Andrew´s Church, Old, Northants, NN6 9RB 7.30 p.m.
Where: York Minster 7.30 p.m.
Ticket/Info: £5 - £20, from York Theatre Royal box office: 01904 623568; www.yorktheatreroyal.co.uk; or on the door on the night. Where: Llanhilleth Miners Insitute, Llanhilleth, Abertillery, Gwent 7.30 p.m.
Ticket/Info: £7.00 on the door and in advance from Llanhilleth Miners Institiue. Telephone 01495 354674. Also available from Karon´s Fashions, Church Street, Abertillery and from Choir members. Where: St Andrews Church, St Andrew Street, Hertford SG14 1HZ 7.30 p.m.
Where: St Andrew's Church, Montpellier Street, Cheltenham, GL50 1SP 7.30 p.m.
Where: St Mary's Catholic Church, Hencotes, Hexham NE46 2EB 7.45 p.m.
Where: Holy Trinity Church, Minchinhampton 7.30 p.m.
What: Glories of the French Baroque. Jean Gilles - Messe des Morts (1731); Delalande - De Profundis; André Campra - Motet. Where: Durham Cathedral 7.30 p.m.
Where: The EPIC Centre, Lincolnshire Showground, Grange-de-Lings, Lincoln LN2 2NA 7.30 p.m.
Where: St Edmundsbury Cathedral, Bury St Edmunds, Suffolk 6.30 p.m.
What: Unaccompanied English Renaissance and early Baroque motets, contemporary pieces by Lukaszewski, Esenvalds, Todd and Rutter. Where: St Mary´s Church, Tickhill DN11 9LY 7.30 p.m.
Where: The Magdalen Chapel, Holloway, Bath BA2 4PX 7.30 p.m.
What: "Smuggled from Europe" - including choral music by Henri Du Mont, Pergolesi, Ockeghemand Josquin. Where: St Mary’s Church, Fratton Road, Portsmouth PO1 5PA 7.30 p.m.
What: Hummel - Crossing of the Red Sea (UK premiere); Mozart - Mass in C Minor. Where: New Hall, Winchester College, SO23 9NG 7.30 p.m.
Ticket/info: £20 (under 21 £10) + booking fee of 50p, unreserved from https://www.ticketsource.co.uk/boxoffice/select/qiSVJOQHcBpX. Further details from ttp://www.winchestermusicclub.org.uk/2018/12/spring-concert-april-2019/. Where: St. Gabriel’s Church, Aldersbrook Road, Wanstead, E12 5HH 7.30 p.m.
What: Serenade to Music: 5th Anniversary Gala Concert: Music by Vaughan Williams, Gibbons, Bednall, Esenvalds and Bruckner. Ticket/Info: £14, Students £7, under 16 free (ticket required) from 0845 475 1664, tickets@hardyngechoir.org, or on the door. See www.hardyngechoir.org for info and ticket order form. Where: All Saints Parish Church, 14-16 Market Place, Kingston upon Thames, KT1 1JP 7.30 p.m.
What: Hugo Distler - Choral Passion Op 7, and two pieces by Heinrich Schütz. Where: St John’s Church, Southdown, Harpenden AL5 1DJ 6.00 p.m.
Where: Ely Cathedral, CB7 4DL 7.30 p.m.
Ticket/Info: £15, discounted to £13 if bought and paid for in advance (by Wednesday 10th April). Tickets for children and students aged 5 - 17 will be £5. Where: St Peter's Church, Petersfield, GU32 3HS 7.30 p.m.
Where: Holy Saviour Church, Radcliffe Road, Hitchen SG5 1QG 7.30 p.m.
Where: All Saints’ Church, 564 Woodham Lane, Lightwater, Surrey 7.30 p.m.
Where: Salisbury Cathedral, Wiltshire SP1 2EJ 7.30 p.m.
Where: Lanercost Priory near Brampton 7.30 p.m.
Where: Holy Trinity, Bosbury 7.30 p.m.
Where: St Laurence’s Church, Frodsham, WA6 7DU 7.30 p.m.
Where: Eily Cathedral 7.30 p.m.
Where: St.Nicholas Church, Alcester 7.30 pm. Where: St Saviour’s Church, St Albans AL1 4DF 6.00 p.m.
Where: St Michael and All AAngels, Kingsland, Leominster 6.30 p.m.
Where: St Marks Church, Westmoreland Road, Bromley 6.30 p.m.
Where: Assembly Hall Theatre, Tunbridge Wells TN1 2LU 3.00 p.m.
Where: St Paul´s Church, Mill Hill, London NW7 1QU 6.00 p.m.
Where: St John´s, Spencer Hill, Wimbledon SW19 4NZ 7.30 p.m.
Where: St Eustachius Parish Church, Tavistock PL19 8AU 7.30 p.m.
Where: St. Mary's Church, Fordingbridge, SP6 1BB 7.30 p.m.
Where: Great Hall, University College School, Frognal, London NW3 2TN. Where: St Andrew’s Church, Junction Road (corner with Cants Lane), Burgess Hill, RH15 0LG 7.30 p.m.
Where: St Barnabas Church, Calton Avenue, SE21 7DG 7.30 p.m.
Ticket/Info: £10 & £8 (Concessions: Senior Citizens, Students) obtainable at the Art Stationers, Dulwich Village, SE21 7BN Online at www.stbarnabasdulwich.org or from the Church office: 020 8693 1524 Tickets also obtainable at the door. Where: St Stephen, Walbrook, London EC4N 8BN 5.00 p.m.
Where: Watford Colosseum, Rickmansworth Road, Watford, WD17 3JN 7.00 p.m.
Ticket/Info: £20, £18 & £5 for Under 19’s Tickets from the WPS Ticket Secretary either by telephone: 07380 285788 or e-mail: WPS.Tickets@btinternet.com or from the Watford Colosseum’s Box Office on 01923 571102 or their website www.watfordcolosseum.co.uk Booking fees apply. Tickets will also be available at the door on the evening of the concert.